The first step in the fabrication of the full-size, superconducting prototype of a toroidal field coil double pancake has been successfully carried out in Europe. 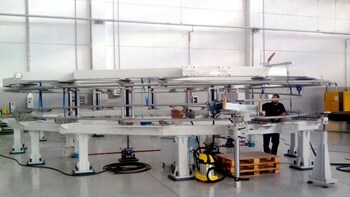 Winding was completed at the beginning of August at the ASG premises in La Spezia, Italy. The European Domestic Agency, Fusion for Energy, is responsible for procuring ten toroidal field coils (and Japan, nine). These D-shaped coils will be operated with an electrical current of 68,000 amps in order to produce the magnetic field that confines and holds the plasma in place. Toroidal field coils will weigh approximately 300 tonnes, and measure 16.5 m in height and 9.5 m in width. Each one of ITER's toroidal field coils will contain seven double pancakes. 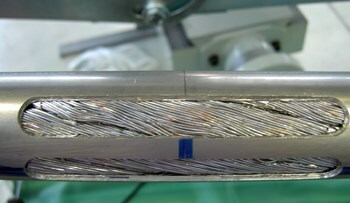 These double pancakes are composed of a length of superconductor, which carries the electrical current, and a stainless steel D-shaped plate called a radial plate, which holds and mechanically supports the conductor through groves machined on both sides along a spiral trajectory. The first stage of toroidal field coil manufacturing—the winding of the double pancakes—is the most challenging. It consists of bending the conductor length along a D-shaped double spiral trajectory. As the conductor must fit precisely inside the radial plate groove, it is vital to control its trajectory in the double pancake and in the groove of the radial plate with extremely high accuracy. The trajectory of the conductor, in particular, must be controlled with an accuracy as high as 0.01 percent. For this reason, the winding line employs a numerically controlled bending unit as well as laser-based technology to measure the position and the dimensions of the conductor. The winding takes place in an environment with a controlled temperature of 20 °C +/-1 C, at an average speed of 5 m of conductor per hour. For the European commitments to ITER, a consortium made up of ASG (Italy), Iberdrola (Spain) and Elytt (Spain) will manufacture the full-size, superconducting prototype as well as the production toroidal field coil double pancakes in the future. The next steps in the manufacturing process are: heat-treatment of the double pancakes at 650 °C in a specially constructed inert atmosphere oven, electrical insulation; and finally the transfer of the double pancakes into the grooves of the stainless steel radial plates. After assembly and the application of electrical insulation on the outside of the radial plate, the module is finally impregnated with special radiation-resistant epoxy resin to form the prototype double pancake module. Work on the module is scheduled to be completed by the beginning of next year, in time to allow for the prototype to be tested at -77 K in order to assess the effect of the low temperature. 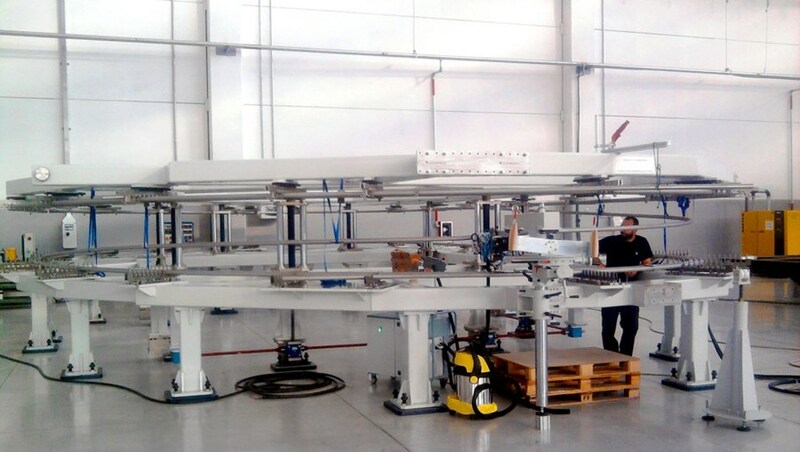 The module will then be cut in sections in order to analyze the impregnation of the insulation. Read the detailed article on the F4E website here.